If you have a preschooler, they are probably drawn to technology like mine are. I have struggled with trying to limit screen time while allowing my kids to become fluent in technology since it will forever be a part of their lives. I have found a few apps that I feel comfortable with my preschoolers using and I am excited to share them with you! This app is amazing! There is so much within the app that we haven't even touched yet. 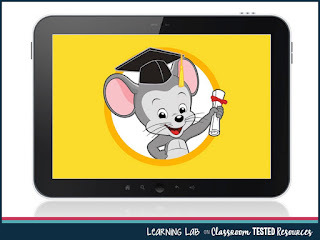 ABC Mouse does have a monthly fee, but if you are a teacher, you can get a free account. My kids LOVE going to the zoo with this app and learning about all of the animals. 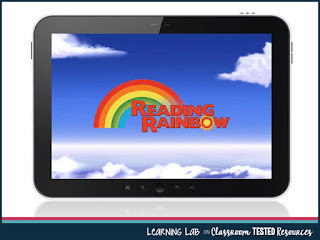 If you grew up in the 1980s and 1990s, then you are familiar with Reading Rainbow. This app awesome! We have only used the free trial so far but even that is so cool! The free trial comes with access to five books per family while the paid subscribtion includes access to 100s of books and a large array of activities and games. 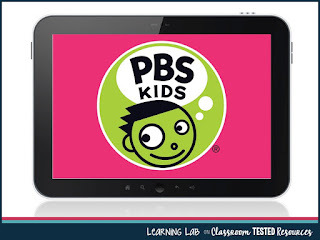 PBS Kids allows your child to have access to all of the PBS Kids programming. Most of their shows are educational so I don't mind my kids watching. Their favorite shows on this app are Peg + Cat (math) and Super Why (reading). It is free to download and free to watch as long as you have access to the internet. 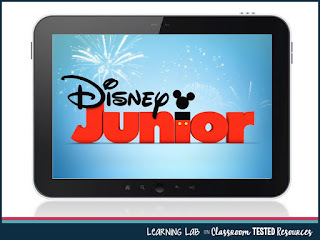 The Disney Junior app gives access to Disney Junior programming which is age-appropriate for preschoolers. There are also games and activities starring the Disney Junior characters. Little Writer is a really cool app! 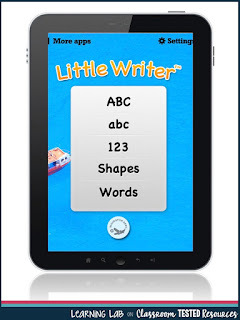 Your child can practice writing with their finger or using a stylus. There is even an option for you to add you own words. We have added all of the names of the people in our family. 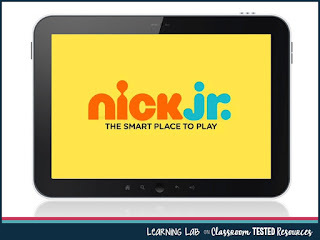 Nick Jr. is another app that my kids can watch their favorite shows. It works when they have access to the internet. It is very kid-friends and easy to navigate. I LOVE this app and so do my kids! You'll find this app to be well worth the couple of dollars it costs to purchase. I love that I can create different accounts for each of my kids. The level of difficulty adjusts for their abilities. As a parent, I can also add or turn off options to create a custom experience depending on what I want my kids to work on. 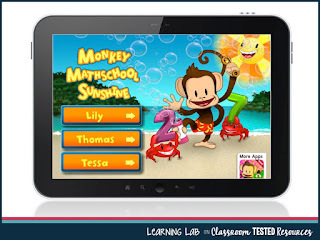 This Monkey app focuses on math. 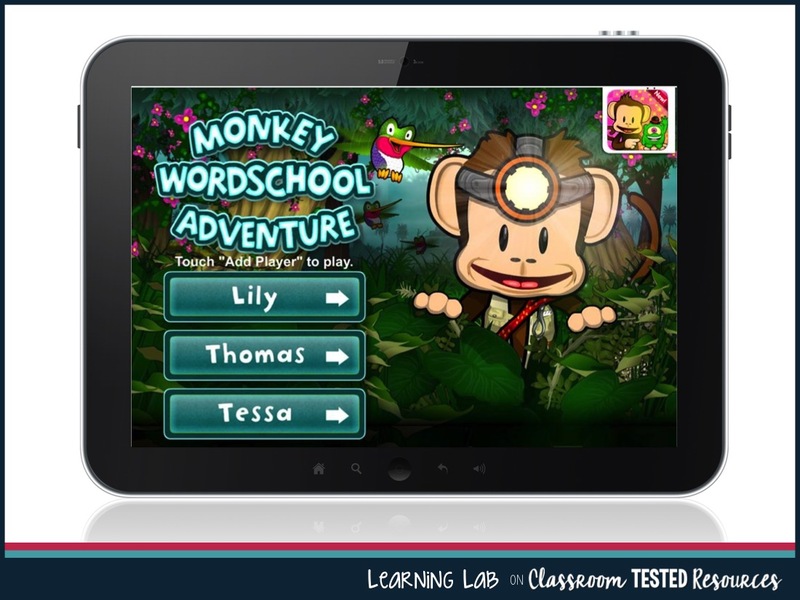 This app has all of the same great features as the Monkey math app above, but it focus on reading readiness. There are a few other Monkey apps that my kids love but the two I featured here are my favorites. Worth every single penny! *Disclaimer: I have an iPad so all of these apps are available on Apple products. I am not sure if they are also available for android. 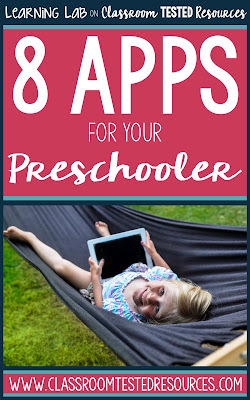 What are some of your favorite apps that you use with your preschooler? I am always looking for new ones!